"Pilot"-- HOSTAGES, CBSÃ¢ÂÂs new high octane suspense drama stars Toni Collette as Dr. Ellen Sanders, a premiere surgeon thrust into a chilling political conspiracy when her family is taken hostage by rogue FBI Agent Duncan Carlisle (Dylan McDermott). HOSTAGES will premiere in the Fall, Mondays (10:00-11:00 PM ET/PT) on the CBS Television Network, and will build to a season finale in January. Photo: Nicole Rivelli/ÃÂ©2013 CBS Broadcasting Inc. All Rights Reserved. 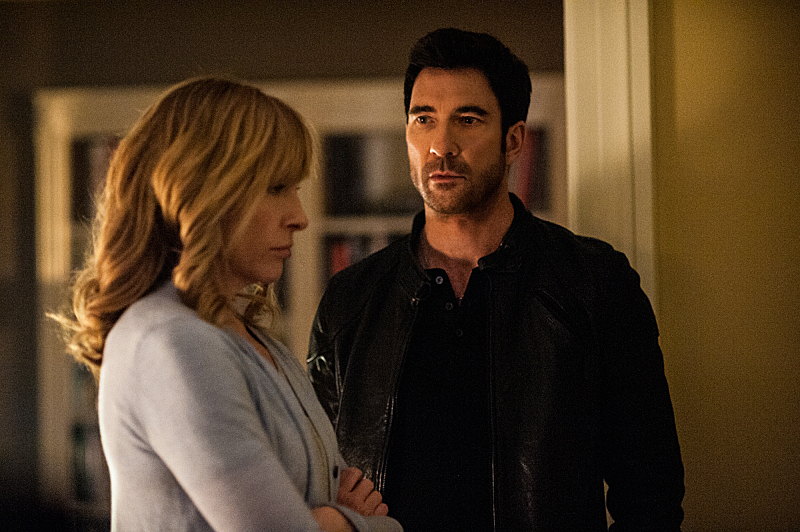 My take: One of the best new dramas of the season, Toni Collette and Dylan McDermott are fantastic in this twistedly tense new series. While the premise might seem limiting, it becomes clear by the end of the pilot how grand the scope of the show’s first season will be, and I am very interested to see it play out. HOSTAGES premieres tonight at 10 PM on CBS.